A Cuban Frog on a window pane waiting for his dinner to fly by. 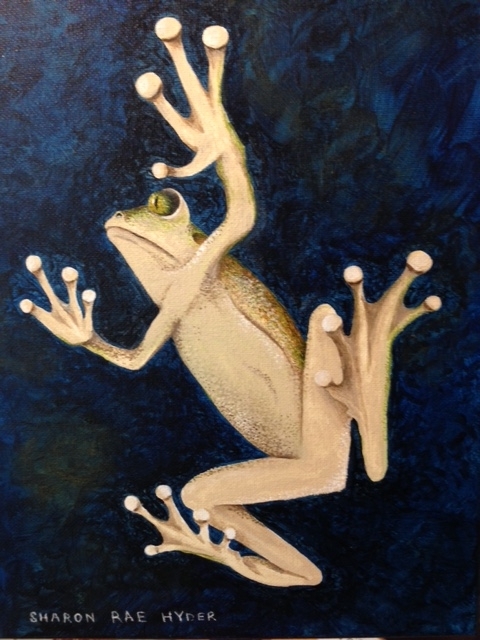 I just love painting little creatures. The more complex the better. Frogs are adorable.